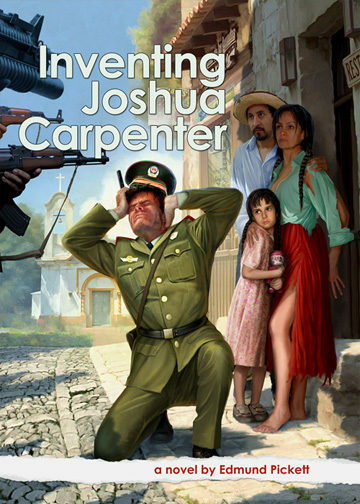 Ten years have passed and the followers of Joshua Carpenter, scattered across the Communist States of America, are still trying to rebuild their lives. But they can’t stop thinking of Him and some have begun to share their memories of what He did and what He said. In Washington, D.C., isolated reports of a new unauthorized religion lead to the creation of a department of the secret police led by Captain Paul Tarsiani. Ruthless and ambitious, Tarsiani gladly accepts the challenge of ridding the nation of Carpenterism and furthering his aspirations, perhaps all the way to the White House. In the poor and backward state of Wyoming, a late night visitor to the Behren ranch brings early warning of the looming persecution. A man, woman and two small children flee south in the darkness, but how far will they have to go to find a place where they can live without fear? Inventing Joshua Carpenter, book two in the Carpenter trilogy, is scheduled to be published in 2017, but you can read the first two chapters by signing up for my Joshua Carpenter newsletter. You’ll receive chapters one and two immediately and every month afterwards you’ll receive two more chapters. Of course I’ll never share your email address with anyone and you can unsubscribe at any time.